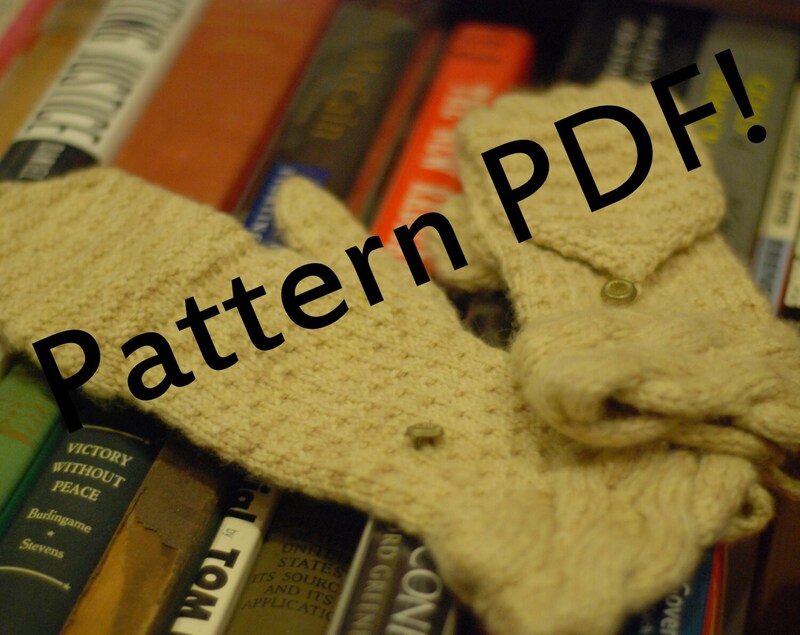 This listing is for a handknitting pattern, which is available for immediate download upon completion of checkout. Photos depict how your item will look if you follow the instructions given in the pattern; these items are not part of your purchase. Please note that, pursuant to my policies on digital downloads, NO REFUNDS will be given after the pattern has been purchased. 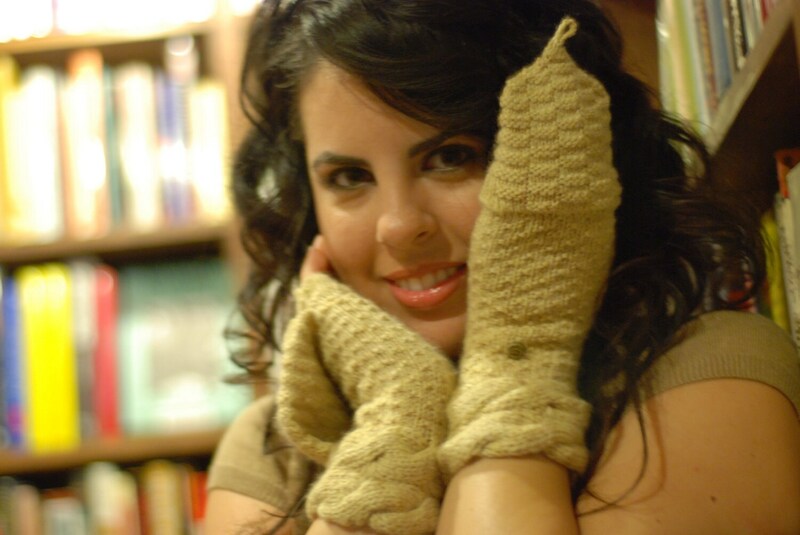 Inspired by the Great Pyramid of Khufu, the top of these convertible mitts features brick-like patterning with a pointy top to symbolize the pyramid itself. Tiny dots of texture are scattered across the hand, representing the sand of Egypt’s immense desert, and intertwined cables make up the cuffs, reminiscent of the Nile River. 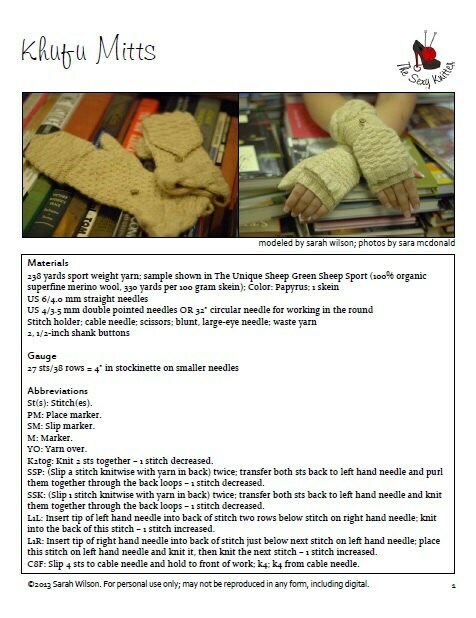 The mittens are worked entirely seamlessly, beginning with the cuffs. Stitches are picked up from around one side of the cuff to form the hand, then stitches are put on hold to form the mitten top. 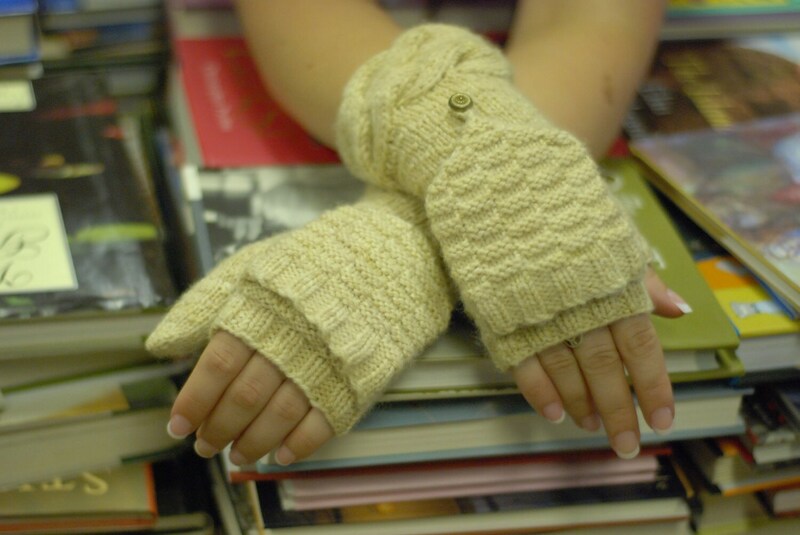 The thumb gusset is formed by working increases while knitting the hand, and is finished into either a fingerless or full thumb after the rest of the mitten is complete. Adult; one size fits all. Mitten top is adjustable to fit.